Will a glass of juice a day keep the doctor away? After a week of juicing with the Breville Juice Fountain Plus Centrifugal Juicer, I can honestly say I have more energy. I’ve also managed to ward off a cold that’s hit everyone else in my house. 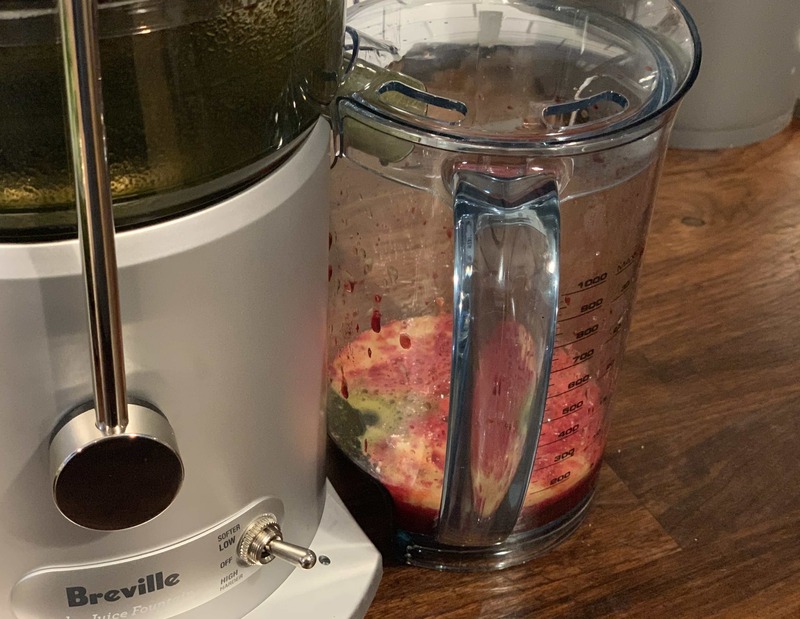 The Breville Juice Fountain Plus Centrifugal Juicer is a medium-sized juicer, has a one-litre bucket for juice storage, and is as easy to use as flipping a switch. All you need to do is toss in whatever you’d like to juice and it will take care of the rest. 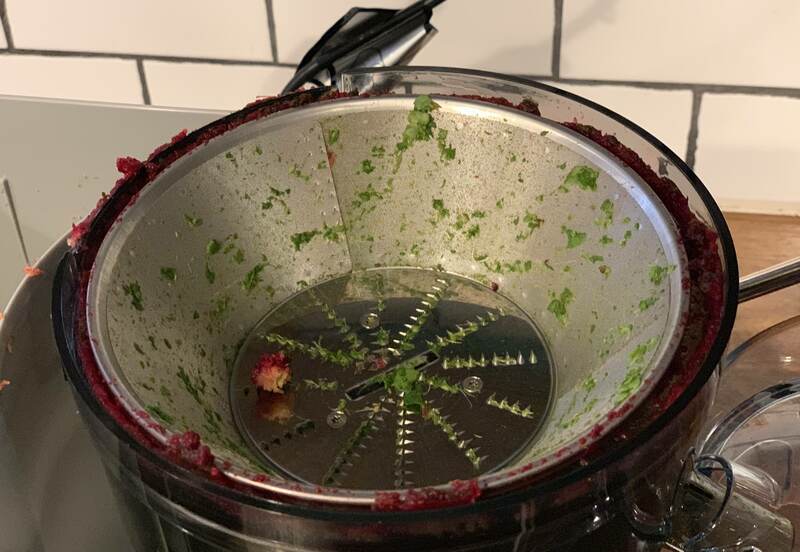 If you’d like to kick off a healthy habit and start juicing, here’s a quick look at the Breville Juice Fountain Plus Centrifugal Juicer. I know a lot of people who used to juice, but they stopped because of the time required each morning. 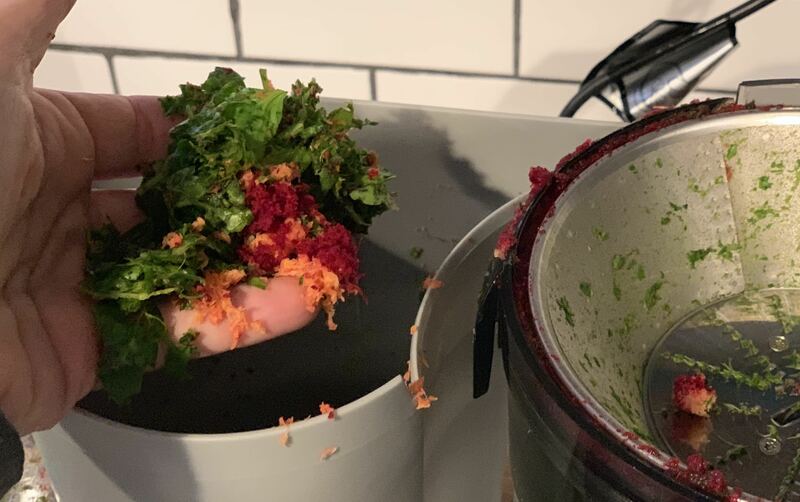 It wasn’t so much the actual juicing that was difficult, it was the prep work and clean up after. With the Breville Juice Fountain Plus Centrifugal Juicer, there is no prep work. As for clean up? It’s a breeze. 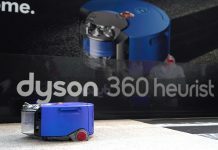 This compact 850-watt machine is made up of plastic components and is completely dishwasher safe. 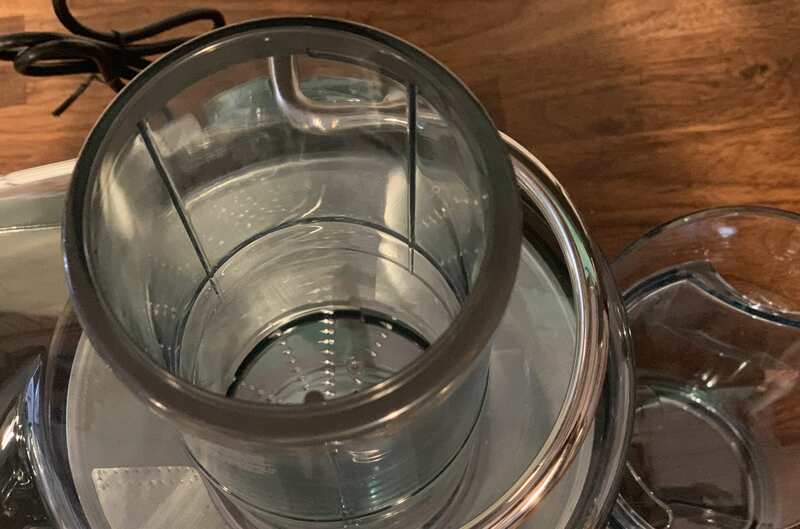 The stainless steel micro mesh juice filter is the only non-plastic part that requires cleaning, and the included brush will easily scrape off the debris so you can pop that in the dishwasher too. The reason it’s so easy to use is the 3-inch wide mouth chute. It takes entire pieces of fruit and vegetables and spins them into cold juice without you having to slice or dice at all. With a 2.5-litre pulp container, it holds everything that’s left over. There’s also two speeds; low and high, so you can juice at the right rpm. You get 13,000 rpm at high-speed and 6500 rpm at low-speed. Even when it’s spinning at high, it runs very quietly. I recently tested out the Breville Juice Fountain Cold. That juicer was a bit larger than the Juice Fountain Plus and had a larger fridge-sized bucket to hold the juice. Both the Breville Juice Fountain Cold and the Juice Fountain Plus share a great feature: they are designed to juice at the lowest temperatures possible. When your fruit and vegetables are juiced at low temperatures you can retain as many nutrients as possible. There’s a chart on the back of the box that indicates the natural temperature of fruit or vegetables, then lets you know what temperature they will be after juicing. The change is minimal, with an apple coming in at less than 2 degrees warmer after the juicing process. Even without that chart, you’d know the juice didn’t heat up after the extraction process because your glass of juice is cold when you drink it. To test out the Breville Juice Fountain Plus Centrifugal Juicer I grabbed: an apple, beet, carrot, and some spinach. Because of the wide mouth on the chute, I didn’t bother cutting up the apple. I just popped it in and pushed down on the plunger. It extracted the juice very quickly, and it poured into the 1-litre bucket. Next I juiced a beet. I put it in whole, just like the apple, and pressed down on the plunger. 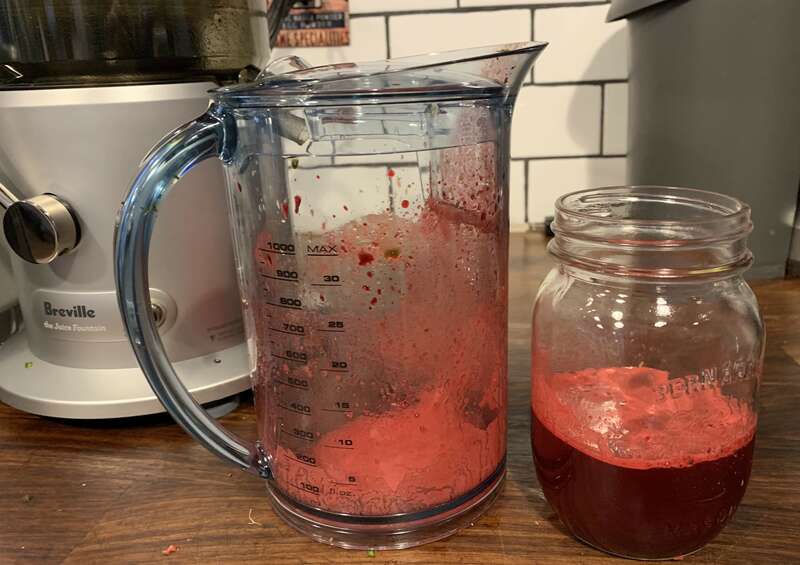 I had a bit of a harder time with the beet, and I had to really push a few times to get it to go into the juice filter. Once I pushed it through properly it was whipped into juice in seconds. The carrot was easy to feed through and I didn’t have any trouble juicing it. Next, it was time to add the spinach. The first time I tested a juicer I used a bunch of spinach, but all I had on hand today was leaf spinach in a package. I stuffed the chute full and pushed down on the plunger. I did manage to get the spinach down to the filter, but I had to push it a few times. It didn’t extract as easily as the whole fruit and vegetables, but I could tell some juice was removed. I let it drip for a few minutes before I removed the bucket and gave the juice a swirl. I drank the juice right away, but you can also store it in the bucket in the fridge for up to three days. It was delicious, and there was definitely a slight spinach flavour to it. The juice was also cold, so I know the vital nutrients weren’t lost in the juicing process. The large pulp bucket held quite a bit of leftover pulp from juicing. Just like the Breville Juice Fountain Cold, the pulp was nearly dry. That’s always a good sign because it means all of those delicious vitamins and enzymes have ended up in your glass. The bucket also has a froth separator, so any excess foam doesn’t end up in the juice you drink. It is so easy to clean up the Breville Juice Fountain Plus Centrifugal Juicer. There’s an included brush you can use to scrape out the bits and pieces left over on the plastic. I gave each piece a quick rinse and put them all in the dishwasher. I generally don’t use the hot dry on my dishwasher, so I gave the buckets and pieces a wipe down with a towel when I removed them. That eliminates any spots you may have from water drying. The Breville Juice Fountain Plus is a slim, compact juicer without a lot of bells and whistles. It has two speeds because that’s all you need when juicing. 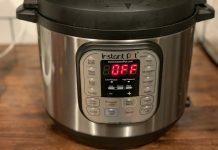 The included guide will walk you through the right speed to use for different fruit and vegetables, and it can take on large chunks or whole fruit and vegetables with little to no effort on your part. I did notice that the juicer struggled with spinach leaves, but I think the bulkier the better when juicing. A handful of spinach is much easier to juice than leaves, so I’d choose a bunch with stems next time. The juice came out cold and delicious. There’s so many great juice recipes you can try, you’ll find a favourite in no time. I really like the combo of beet, apple, and mango. It’s smooth with a bit of a kick. 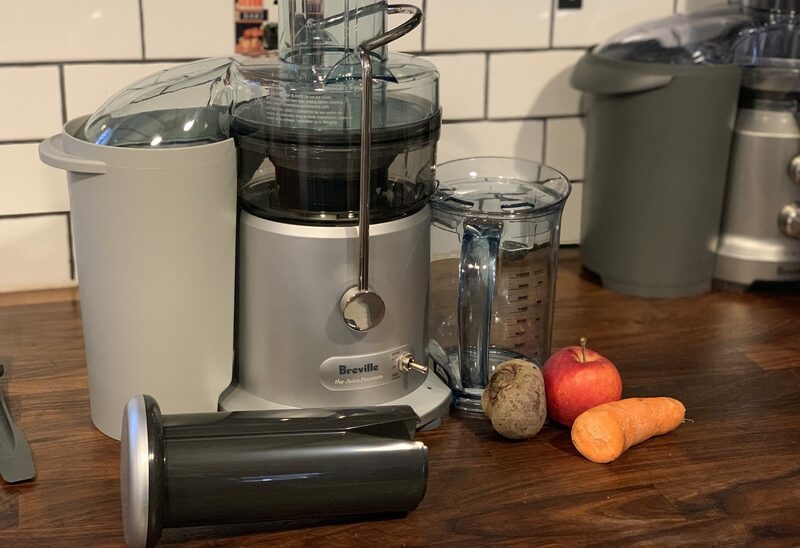 It’s a great time of year to kick off a new juicing habit, and I think the Breville Juice Fountain Plus is a great juicer for anyone from a beginner to expert level. Both the Breville Juice Fountain Cold and the Breville Juice Fountain Plus are available right now on Best Buy.